Powering local content for the country’s sustained and inclusive growth. As a global leader in energy, Shell develops new power resources through innovation and transfer of expertise that offer viable opportunities for a country’s sustained and inclusive growth. In the Philippines, Shell companies in the Philippines continues to increase economic diversification through its local content policy, using local materials and employing local talents in all its projects throughout the country. Shell Philippines Exploration, B.V. (SPEX), the upstream operating company of Shell in the Philippines, specifically powers the drive for local content through its social investment programmes in areas where the Malampaya Deep Water Gas-to-Power Project’s facilities operate and by partnering with like-minded companies in maintaining Malampaya’s efficient and safe operations, while helping SPEX improve capacity and capability in the country’s upstream oil and gas industry. Such a company is the Transfield Services WorleyParsons (TSWP), a fully integrated engineering services company that has been providing SPEX maintenance, repair and engineering services to keep the reliability of Malampaya assets since 2010 using its extensive global track-record and world-class systems. 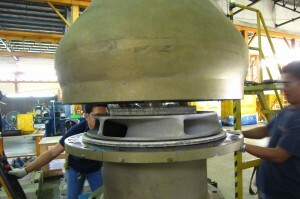 SPEX and TSWP both value cost-effectiveness, quality and safety in all aspects of work. Establishing facilities that simplify processes and improve workers’ skills especially in handling complex equipment becomes of vital importance to sustain the continuing growth of the country’s natural gas industry pioneered by the Malampaya Gas Project. 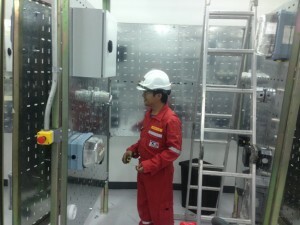 With funding support from SPEX, TSWP established a facility called ‘Compex’ which means “Competence in Equipment” that will serve the industry by offering Filipinos training to acquire the highest competency standard and certification on safe and effective handling of various complex equipment, instrumentation and other technical work. More than Malampaya, the Compex facility is designed to support future developments in the country’s natural gas industry as it enhances Filipino capability and sets the standard for safe and quality work in terms of handling sophisticated equipment procured from different parts of the world. The Compex facility is located in Batangas and will be officially inaugurated by June this year. Another initiative by TSWP is the building of a Repair Center that, together with Frontken Philippines’ provision of manpower and facilities, simplified repair processes of Malampaya equipment. The Repair Center serves as an in-house workshop located in Calamba, Laguna where contractors specialising on equipment repairs are gathered to oversee repair works from start to completion—from consultation, inspection, transfer of equipment, execution, to reinstallation of equipment back to the offshore or onshore facility where it originated—and ensuring quality, safety and efficiency of delivery. The Compex Facility and Repair Center are some of the initiatives of TSWP that addresses some of the fundamental gaps in the Philippine oil and gas industry. “These facilities will improve the self-sufficiency of the Philippines as we reduce the need to go out of the country to get work done. 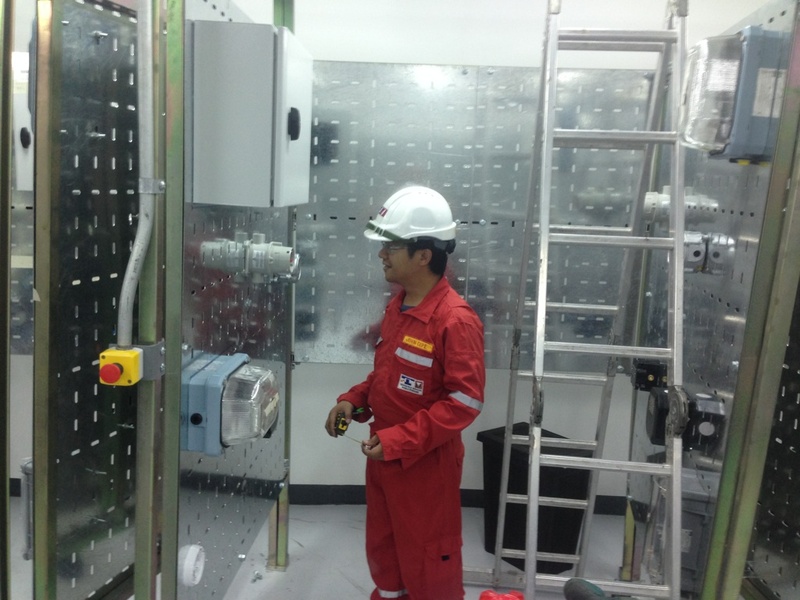 It’s our goal to set-up partnerships for Shell locally to support sustainability not only for Malampaya but also for future gas projects in the Philippines,” said Steve Mesure, TSWP Maintenance Lead. 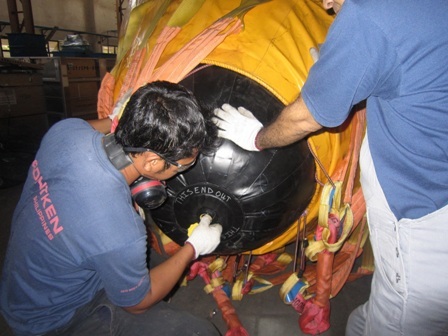 “Having these facilities and localised trainings enable TSWP to save on costs while delivering top-of-the-line service. It’s definitely a win, win, win for all of us,” added Mesure. Like Shell, driving local content is part of TSWP’s long-term strategy in doing business in the Philippines. “We have a localisation plan in place. We are definitely transitioning using expatriate experience to transfer expertise to Filipinos. We currently have 150 staff in the Philippines and 92% are Filipinos,” remarked Glenn Pollock, TSWP Operations Manager. Transfield Services WorleyParsons provides integrated maintenance, repair and engineering services to Malampaya assets which include the Onshore Gas Plant (OGP) in Batangas, Batangas Supply Base (BSB) and Shallow Water Platform (SWP) in Palawan. 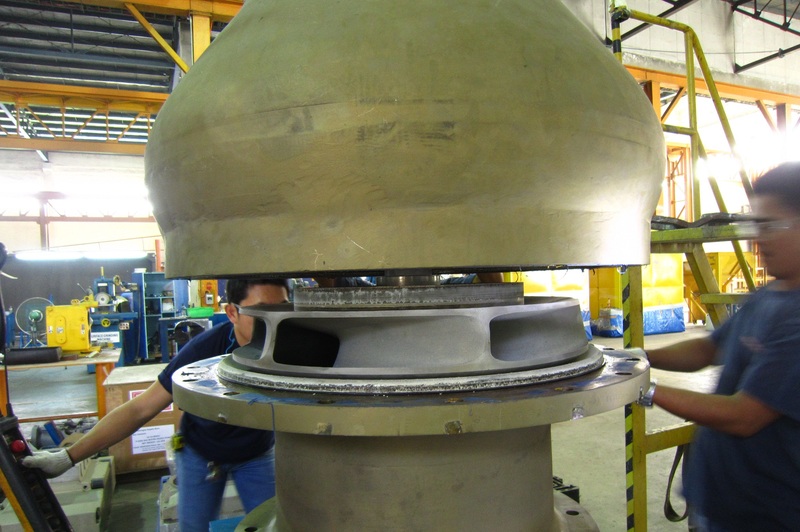 Some of SPEX’s initiatives, led by the Malampaya Phase 3 (MP3) team, to drive local content include employing a local contractor, Keppel Subic Shipyard, for the fabrication of MP3’s additional Depletion Compression Platform and establishing the world-class Malampaya Health, Safety, Security and Environment (HSSE) Training Center to enhance Filipino capability to become at par with the standards of international oil and gas and construction industries. These initiatives serve as value addition to the country’s oil and gas industry as they aim to place Filipino workers at the front line of service delivery. 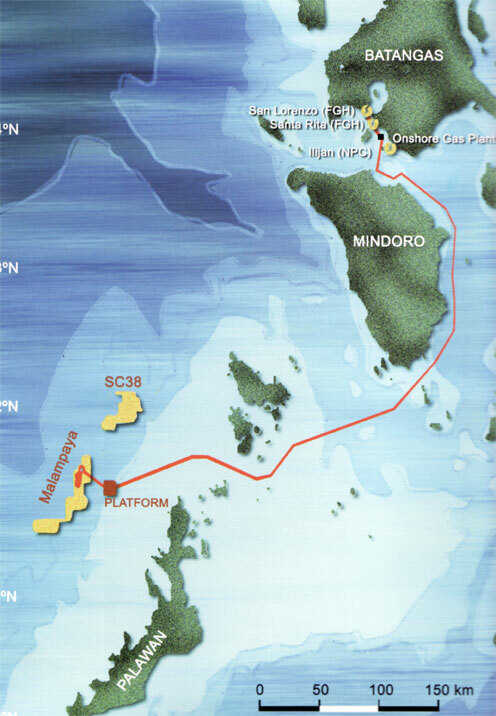 The Malampaya Gas Project provides 40-45% of Luzon’s energy requirements using cleaner-burning natural gas harnessed from an indigenous resource offshore of Palawan. The Gas Project is operated and developed by SPEX using expertise drawn from Shell’s global experience in deepwater technology and gas technology, exploration and gas production. As a global leader in power, energy and gas technology, Shell seeks to continuously address energy challenges while mitigating environmental impact. It does so primarily by delivering smarter products and cleaner energy, smarter infrastructure, promoting sustainable mobility, and by developing new energy sources such as cleaner-burning natural gas.